KRIS has clearly established himself in the top echelon of Australian trainers. Thrust into the role as Lees Racing’s trainer following the death of his father Max in August, 2003, he quickly proved he was equal to the task by winning $2m in prizemoney for his owners in his first full season of training. Only 12 months later, he captured his first Group 1 success when stable favorite County Tyrone (coincidentally Max’s final Group 1 winner in the 2002 Queensland Derby) won the 2004 The Metropolitan at Royal Randwick. 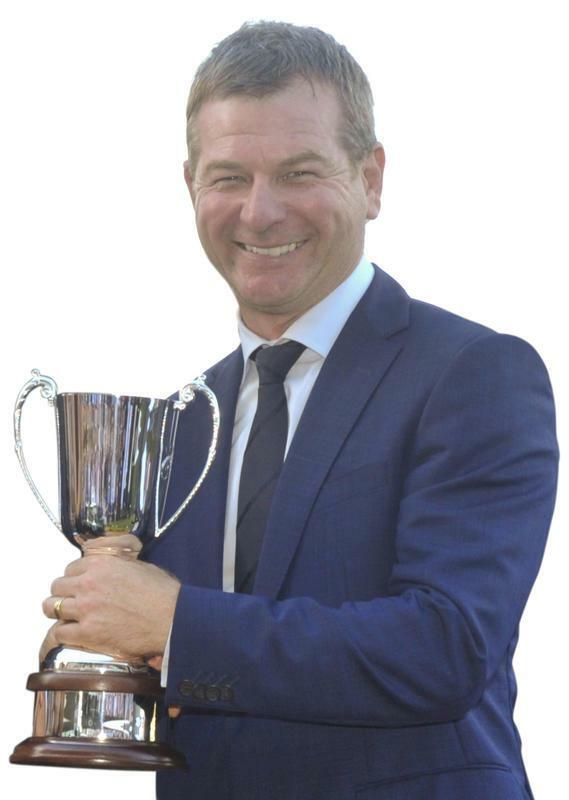 The ensuing years have shown that Kris is an outstanding trainer; evidenced by six Newcastle premierships on home turf and preparing more than 100 winners in a season on no less than four occasions (a record 119 in 2014-15; 109 in 2012-13, 105 in 2009-10 and 106 in 2008-09). He now regularly features in the Top 20 list of Australian trainers. Prizemoney-wise, season 2015-16 resulted in Kris setting a new benchmark. Courtesy of winning New South Wales’ richest race – the $4m Queen Elizabeth Stakes at Randwick during The Championships – with brilliant mare Lucia Valentina, along with the $1m Randwick Guineas with surprise packet Le Romain, Kris’ horses pocketed more than $7m for his band of owners. Lucia Valentina’s powerhouse Queen Elizabeth performance provided Kris with his 10th Group 1 triumph. Kris’ undoubted training prowess, coupled with his relaxed manner and ability to so popularly interact with his owners, has been instrumental in not only maintaining and building lengthy relationships, but also continuing to attract new owners. Amongst his long-standing clients are two of Australian racing’s leading syndicators, Hunter-based Australian Bloodstock and Victorian-based Prime Thoroughbreds. THERE could have been no finer tribute to MAX LEES than Luskin Star’s induction into Australian Racing’s Hall of Fame in 2016. The “colossal colt from the coalfields” was the horse which hoisted Lees into national prominence. His remarkable ability to uncover a young horse with likely potential led to him purchasing Luskin Star after he was passed in for $7000 at a Sydney yearling sale in 1976. Lees subsequently privately purchased the Kaoru Star colt for $8000 on behalf of his owners – and he became a racetrack and stud success. Luskin Star’s runaway victory in the Golden Slipper Stakes at Rosehill Gardens the following year will never be forgotten by those fortunate enough to witness his outstanding performance. The colt went on to capture both the Sires Produce Stakes (1400m) and Champagne Stakes (1600m) at Royal Randwick, becoming the first two-year-old since the brilliant Baguette (1970) to land Sydney’s “Triple Crown”. Only four horses since have repeated the feat. Born at historic Morpeth in the Lower Hunter Valley, weight problems restricted Max Lees’ career as a jockey – but he earned a reputation for winning on a well-backed horse. That horsemanship was put to good ability when he took out a training licence, winning with his very first runner. He trained 20 Group 1 winners – including five Coolmore Classics (NSW’s feature race for fillies and mares) at Rosehill. Max Lees passed away in August, 2003 after a brief illness and Newcastle Jockey Club the following season introduced the Max Lees Medal (awarded annually to the trainer with the best strike rate at Broadmeadow) to honour the memory of a Newcastle racing icon. Kris derived enormous pleasure winning the Medal in 2014-15, preparing 28 winners from 96 starters at Broadmeadow for a strike rate of 3.43.